I met Erica this winter over at Cafe Latte in St. Paul, and after an INSTANT connection, I knew being her and Adam's photographer was going to be amazing! She is also a Bethel Alum, so I obviously already love her, but time spent with her this winter as well as in April at their engagement session has made me SO excited for their wedding this August! We ventured out to Taylor's Falls, and every time I shoot there I fall more and more in love with the setting. These two flew in from Chicago, and THEN drove another two hours for the shoot! Talk about dedication...but oh so worth it! 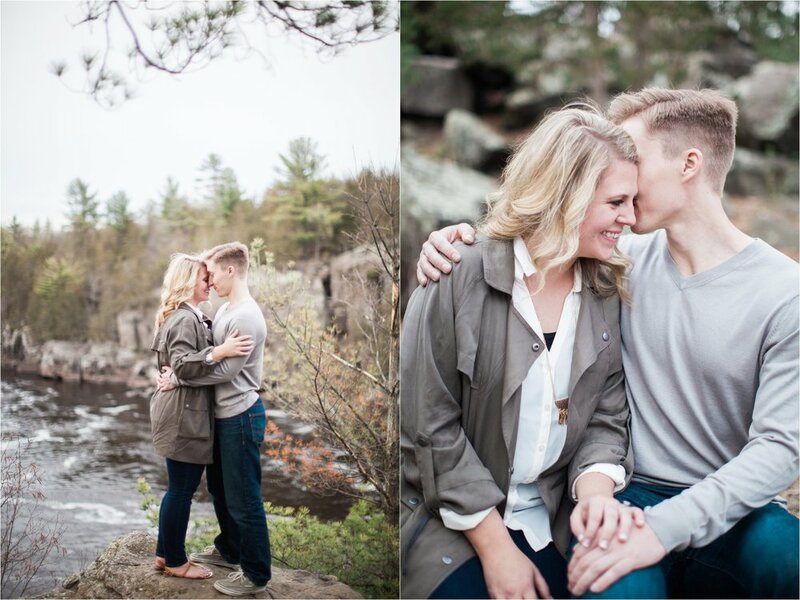 Such a sweet time capturing these two and counting down the days until their wedding in just under two months! !